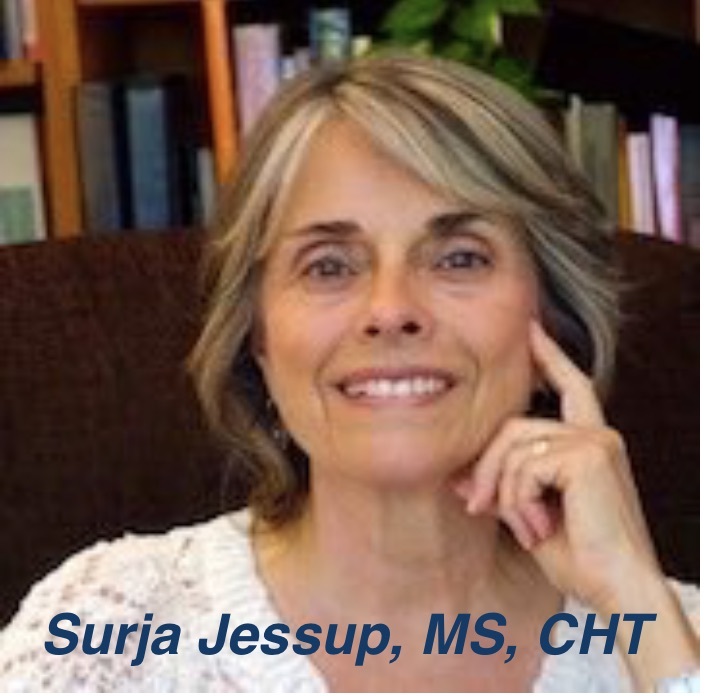 After completing a Master of Science degree at Northeastern University's College of Health Education, Surja Jessup was employed as an art and recreational therapist at an innovative Psychiatric Day Hospital and later taught full-time in the Vermont state college system. In the late 1970's she began a meditation program at a nearby Tibetan Buddhist retreat Center, which opened the door to meditation and a Buddhist approach to Psychology. In the 1980's, Surja moved to California, and pursued post-graduate work at JFK University's School of Consciousness Studies. 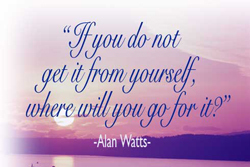 During the next few years she became intrigued with the connection between Bodywork and Hypnotherapy, studying Alchemical Hypnotherapy with David Quigley, Ericksonian Hypnotherapy with Stephen Gilligan, Heart Centered Hypnotherapy with Diane Zimberoff and DeHypnotherapy (Living Essence) with Arjuna Ardagh, as well as learning acupressure and Rosen method of bodywork. She now combines Hypnotherapy and a gentle style of healing touch to assist clients in releasing pain, stress and trauma, and access inner resources for healing. For several years she taught certificate programs in Hypnotherapy and Bodywork at holistic schools for Mind-Body Wellness in several states. The next important step in Surja's journey was a trip to India in 1992, where she met a teacher named Poonja-ji (Papa-ji) who was a disciple of Ramana Maharshi, and who transmitted the non-dual teaching of Self Inquiry. This practice of exploring reality by looking inward and inquiring into "Who am I?" profoundly changed Surja's life. For those who are interested in looking more deeply into the truth of their own being, Surja has integrated a process she calls Holistic Counseling into her Body/Mind practice. This combines Spiritual Inquiry with Mindfulness Meditation, "Power of Now" facilitation and Hypnotherapy.